Rank Ranger's SEO Rank Tracker is a feature-packed software providing comprehensive, daily rank reports on keyword rank, for both desktop and mobile, on 500+ search engines worldwide and extra insights on Google including SERP snapshots, local rank, SERP features, a Featured Snippets discovery tool and much more. 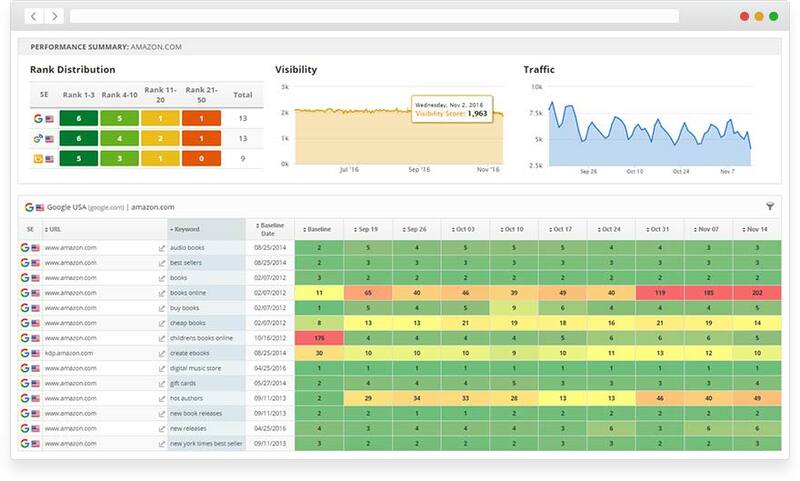 All of the reports, including many 3rd party integrations, are automatically fed into white label marketing dashboards which are built to impress. 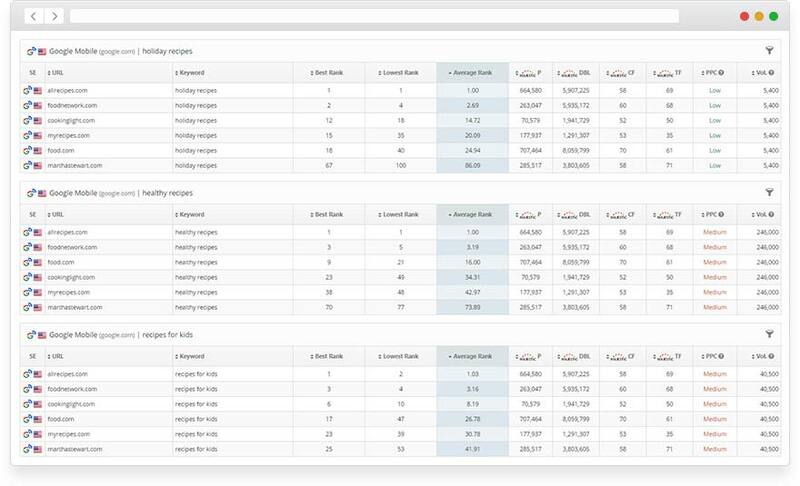 In addition to the rank reports for desktop searches, our SEO rank tracker provides timely and accurate rank tracking for searches on other devices and platforms. With the incredible growth in mobile searches, a keyword rank tracker that gives you rank tracking for mobile devices is a must. Our mobile SEO reports give you the data you need in clear, attractive reports. A local rank tracker is a crucial tool for brick and mortar businesses because it helps them optimize their web pages for searches performed by potential customers in the area where the business is located. Our rank tracker can track your keyword ranking for a certain country, state, city or even a particular postal code allowing you to pinpoint your local SEO efforts on the exact area you are interested in. 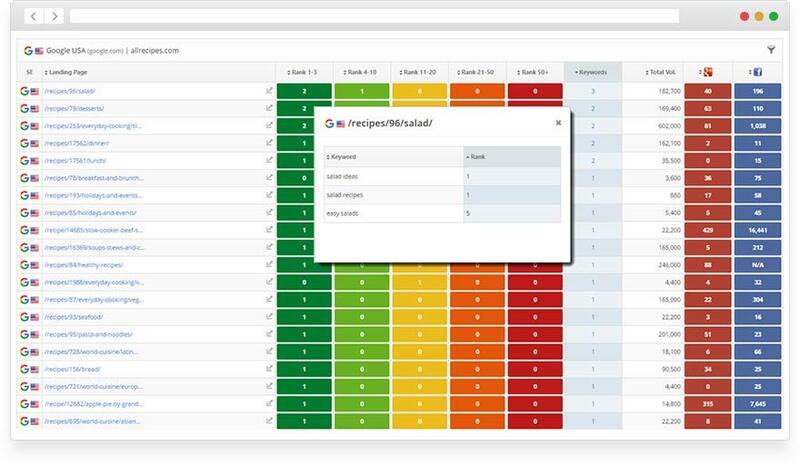 In addition to reporting on your position in the organic results, our keyword tracker also monitors and reports on whether your business was listed in Google Local Pack results for each keyword. Rank Tracker will also monitor your video's keyword ranking on YouTube and your app's ranking on iTunes and Google Play Store. Rank Ranger’s competitor analysis tools include reports and graphs that compare your website’s rank to that of your competitors, providing you with vital information that helps you discover which keywords your competitor is ranking better for so that you can take corrective action. 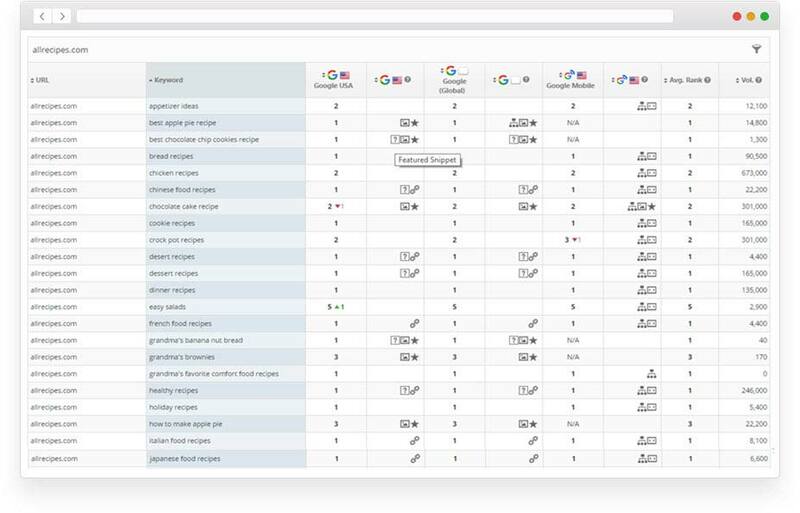 Show off your SEO and marketing successes with single metric widgets and custom Insight Graphs. 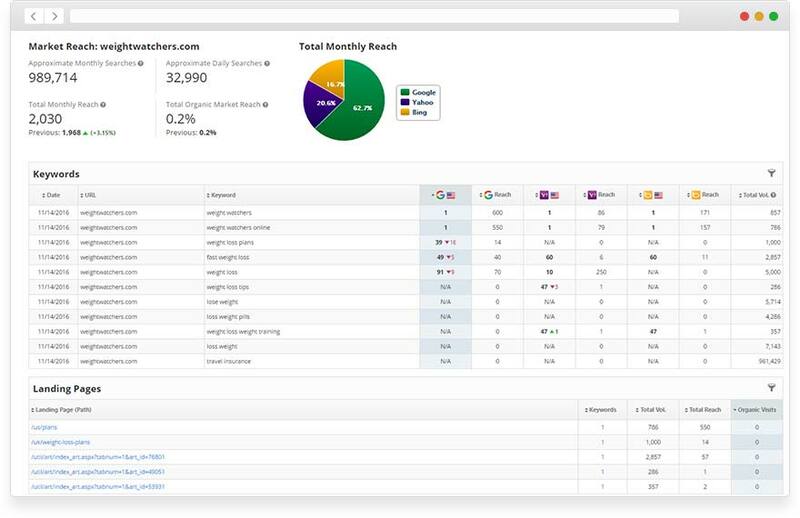 Besides rank and visibility metrics, you can include metrics from Google Analytics (traffic), Ads (PPC), Search Console, Bing Webmaster Tools, social media analytics and much more. Notes & events are annotations that allow you to document and monitor how SEO changes affect website ranking results. 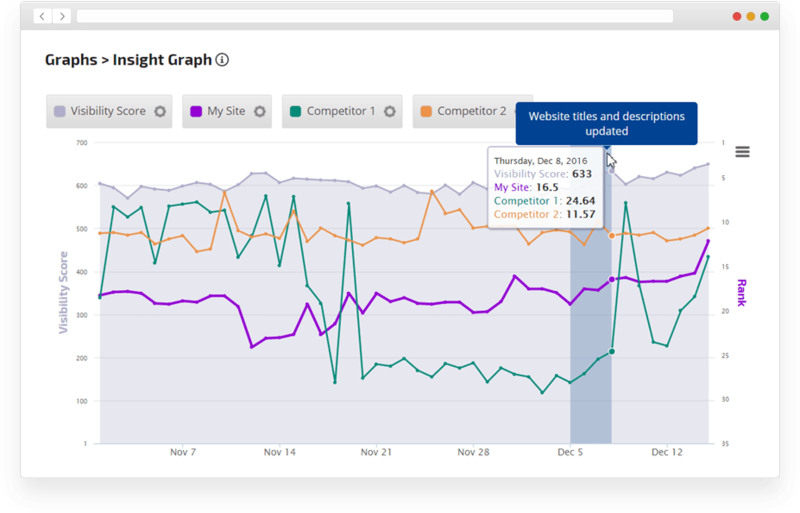 The annotations can be presented on ranking reports and on multiple-metric Insight Graphs so you can easily monitor the effects of changes. 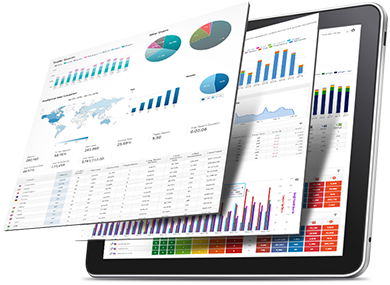 Marketing agencies and SEO professionals will appreciate the wide selection of reports – all of which can be displayed in white label marketing dashboards. 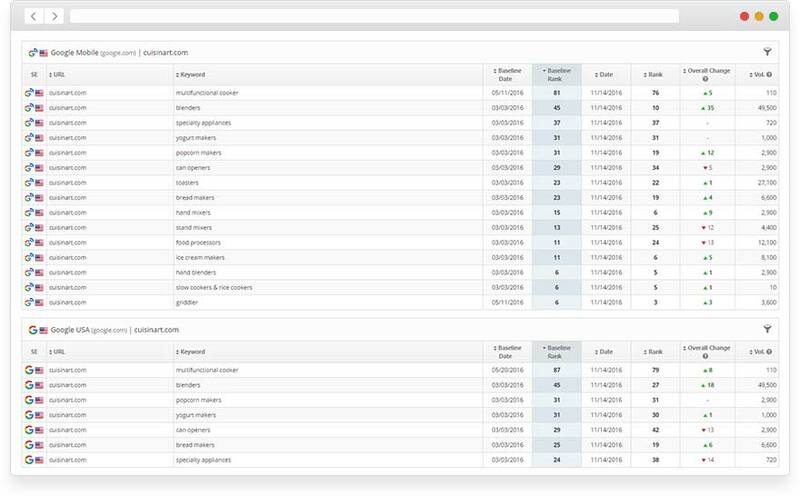 You have full control of the look and feel so the dashboard can look just like your company’s website. If your firm prefers to send out branded PDF reports by email, just choose which reports to include and schedule them. They will be automatically sent to your clients. 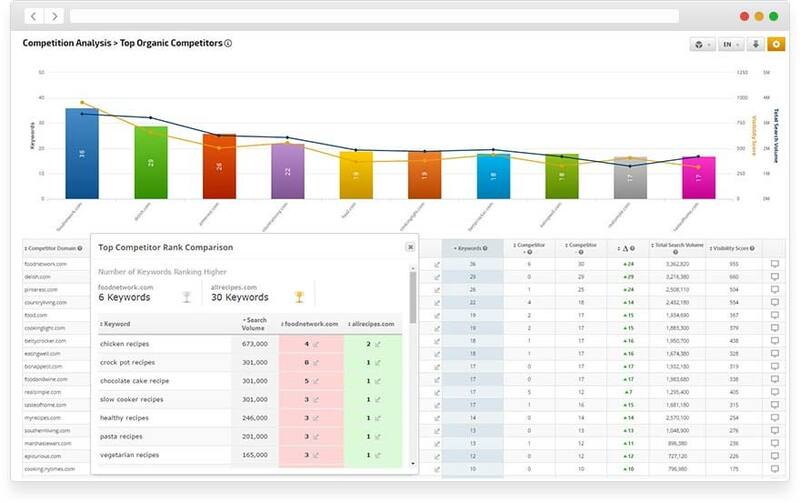 Rank Tracker lets you easily organize and manage large volumes of keywords with features such as keyword tags and report filters. Multi-user permission settings and customizable account, profile and campaign level settings allow teams to work easily and effectively together. Individual users can set up multiple views for each report and activating them only requires a click of the mouse. 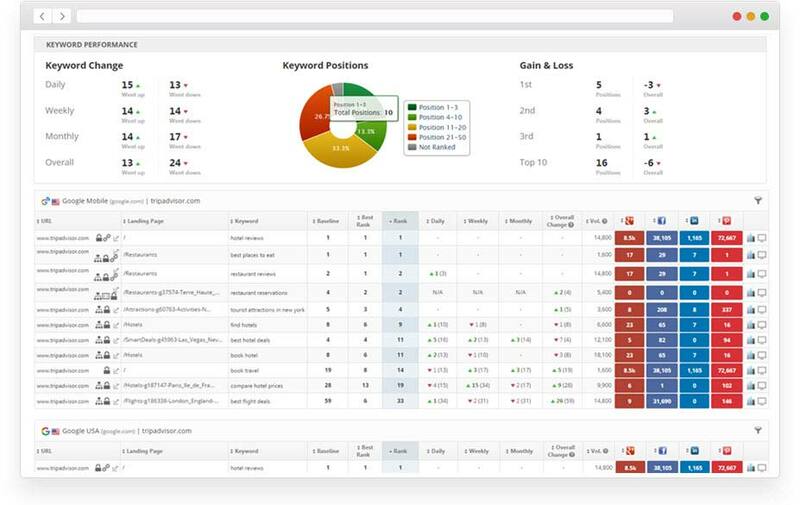 All these features, together with our first class customer support, make Rank Ranger’s Rank Tracker the SEO tool of choice.